Hello friends, @carloshernandezphoto here, excited to take over @photovisionprints for the next few days! I am a wedding and lifestyle photographer based out of the coolest town (in my opinion) Portland, OR. I feel blessed to be a part of the most memorable moments in so many people’s lives. My desire as an artist is to create photos that are full of life and express beauty in an honest way. For this reason, I choose to photograph people with #film. This allows me to slow down and turn an eye to detail to document moments that are meaningful. A little background about me—I graduated from Oregon State University as a structural civil engineer in 2007. Soon after, I became a licensed professional engineer, where I learned the importance of detail, precision and organization. Since 2012, I have worked as a professional photographer, incorporating the important skills I learned as an engineer into my workflow. All the couples I work with really enjoy that I have had that previous training, because it allows me to see the world from a different perspective and it translates in my photographs. 📷 by @maria.lamb on #fuji400h with a #contax645 at Willow Lake Estates in Brush Prairie, Washington. @carloshernandezphoto #pvtakeover Day 1 // I began my photography journey at a very young age. I can still remember the very first camera I bought with 50 soda caps and just a few pesos (yes, I grew up in Mexico). I was 9 at the time. The camera was in the shape of a soda can and took 16mm film cartridges. Ever since then, I was known as the “camera guy” in my family. I took photos of everything, mainly family and landscapes. I continued that passion all the way through college where I was convinced to photograph a friend’s wedding. I quickly realized just how much I really enjoyed wedding photography, but I truly didn’t know much about it. I contacted a few established photographers in southern Oregon and bugged them till they allowed me to second shoot for them. I was determined to learn as much as possible, and as they say, the rest is history. 📷 on #fuji400h with a #pentax645 at Lowndes Grove in Charleston South Carolina. @carloshernandezphoto #pvtakeover Day 1 // On a more personal note, I have been married for 3 years to the smartest and most supportive woman I know. @athinahernandez is my beautiful Finnish goddess. I don’t know what I would do without her. My business has flourished only because of her support. She works very hard behind the scenes to make sure I stay on task and is my assistant on most shoots. It is a blast to have her as a business partner. When we are not working, you can find us traveling the world, either at a lake, on top of a mountain or simply exploring new cities. We can’t seem to stay in one place for too long. We are also foodies, gotta love a good meal, we try to experience as many different cuisines as possible. If you ever find yourself in the Pacific Northwest, please reach out to us. We love meeting new people and would really enjoy showing you around our town. 📷 on #fuji400h with a #nikonF3 in Yacolt, Washington. @carloshernandezphoto #pvtakeover Day 1 // I remember when I was first learning film as a child, the things I loved the most were the sounds of the shutter and the film advancing. Two years after I began shooting professionally, I remember seeing the magic other wedding photographers were creating with #film. I immediately fell in love again and wondered why I ever left that medium behind. I dusted off my old camera and began shooting film again. I tried several #mediumformat cameras until I found the one that works for me. I use the Pentax 645NII with a converted Zeiss 80mm f/2 lens. 📷 on #fuji400h with a #pentax645nii in Cannon Beach, Oregon. 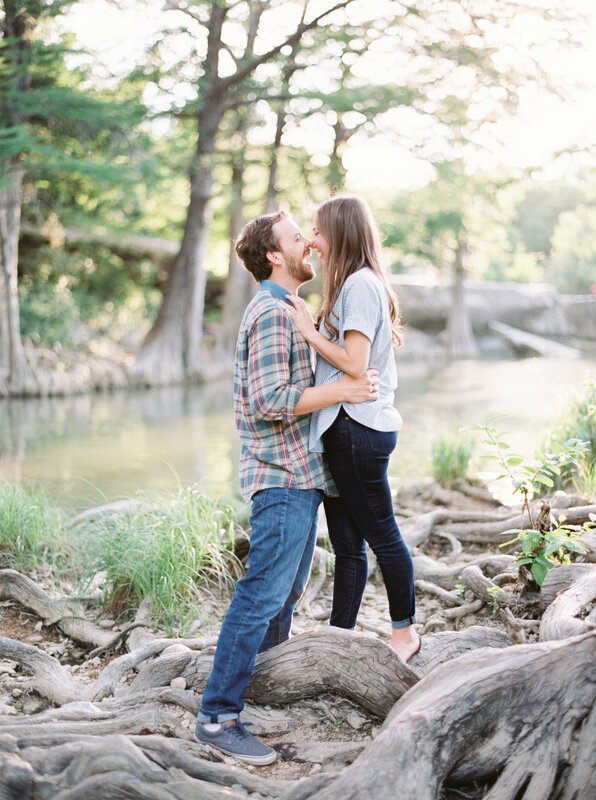 @carloshernandezphoto #pvtakeover Day 1 // There are many reasons why I love using film to capture love stories. From loading film, to using a hand-held meter, to envisioning what the exposure will look like, to making sure my camera settings are set correctly, to hearing the sound of the shutter, I love it all. Knowing that I won’t get to see my images for at least a few days only builds the anticipation. Film really does make you slow down and think about what you are capturing. It allows me to be truly aware of my surroundings. I believe film has made me a better artist. 📷 on #fuji400h with a #pentax645nii at Lowndes Grove in Charleston South Carolina. @carloshernandezphoto #pvtakeover Day 2 // I am a sucker for beautiful landscapes as backgrounds. Give me a simple, yet beautifully styled subject and a grand view, like the ones we have here in the #PacificNorthwest, and I am happy. Those are some of my favorite photography sessions. I have been to many places around the globe but I keep coming back to this little pocket of the world—the Pacific Northwest. 📷 on #fuji400h with a #pentax645nii in Columbia River Gorge, Oregon. @carloshernandezphoto #pvtakeover Day 2 // Speaking of my favorite images to take, it’s no secret that I like to capture intimate moments. Close crops strip away all the distractions surrounding a special moment. I usually spend time with my couples before a photo session getting to know them, this helps create a more relaxed, comfortable shooting environment. Every couple is different and shows affection in unique ways. I try to really crop close on these moments to emphasize the ways they show their love for each other. Before your next shoot, try to get to know the people you are photographing, before you point your camera at them. You will be happy you did. 📷 on #fuji400h with a #pentax645nii at the Cotton Gin Inn, in Edenton, North Carolina. @carloshernandezphoto #pvtakeover Day 2 // I am sure you have heard this before, but capturing movement is one of the best ways to tell a story. However, manual focus on medium format film cameras can be really tricky, especially when shooting wide open. I have come up with a few tricks on how to get images with movement in focus. One way I deal with this is to pan with my subject at the same speed they are moving and snap a couple of photos. Another way, which in my opinion creates better results, is to position yourself in one spot and anticipate where your subject will be moving through—and either focus on a test subject at that location, or focus on the floor where your subject is expected to move by. Practice, practice, practice. And if you are still having trouble getting your subject in focus, try adjusting your aperture, and shoot at f/4.0 or f/5.6 instead. 📷 on #ilford100 with a #pentax645nii at Lowndes Grove in Charleston South Carolina. @carloshernandezphoto #pvtakeover Day 2 // Don’t be afraid of trying new things that are out of the norm. 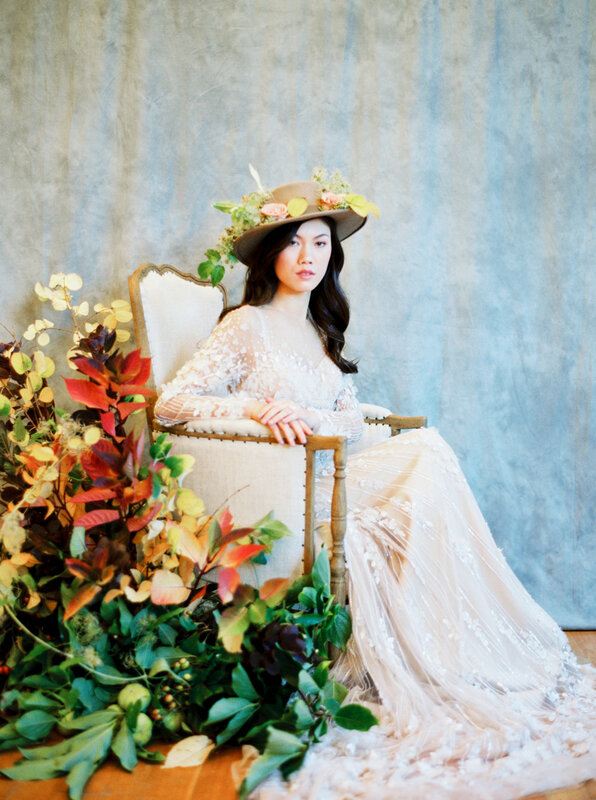 For this bridal inspiration shoot, @kalebnormanjames wanted to try a floral bridal hat, and I am glad we did. It was such a great success! 📷 on #fuji400h with a #pentax645nii in Seattle, Washington. @carloshernandezphoto #pvtakeover Day 3 // We all have those people we look up to and seek advice from, particularly in the beginning stages of our careers. I really believe I wouldn’t be the artist or entrepreneur I am today if it wasn’t for all of the amazing people who have poured into me since I began my journey as a photographer. This is why I am very excited to get the opportunity to pour into other photographers. One way I mentor fellow photographers is through workshops. My next workshops will be on March 22nd in San Antonio, Texas, and in September in Memphis, Tennessee. Keep an eye out for more details on my Instagram account, @carloshernandezphoto, and please don’t hesitate to reach out with any questions. 📷 on #fuji400h with a #pentax645nii at Monet Vineyards in Brush Prairie, Washington. @carloshernandezphoto #pvtakeover Day 3 // Many people have asked me what photo subjects I have struggled to master. If I had to pick, it would be flat layouts. I always struggled during weddings because I wanted everything to be perfectly straight (due to my engineering background), and I would take a very long time to get it “just right.” I am not an expert by any means, but I feel that I can now confidently style any details or invitation suites at weddings. My secret was to compile a handful of styling items in a bag and practice at home. I now take this bag with me to every wedding, so I know exactly what I have to work with and how it all looks together. Now I can style beautiful flat layouts effortlessly. Give it a try. 📷 on #fuji400h with a #pentax645nii in Columbia River Gorge Hotel in Hood River, Oregon. @carloshernandezphoto #pvtakeover Day 3 // The biggest advice I could give any photographer is to always be true to yourself and photograph in your own style. Learn from other photographers and be inspired, but find your own niche. The world doesn’t need the same photographer over and over, the world needs you. 📷 on #fuji400h with a #pentax645nii at Monet Vineyards in Brush Praire, Washington. @carloshernandezphoto #pvtakeover Day 3 // It was a pleasure hosting a PV Takeover and connecting with all of you these past few days. I have to say thank you to @photovisionprints for the opportunity and for being the only #filmlab I use. I meant it when I said that if you find yourself in the #PNW, you should reach out. @athinahernandez and I would love to show you around this little paradise and maybe even visit #photovisionprints’ lab! Hi y’all, it’s Savan with @savanphotography, a modern fine-art film wedding and portrait photographer living in the golden light state of California—Orange County to be exact. When I am not off photographing and witnessing couples saying their “I Do’s,” you can find me with my two young daughters and my husband, cooking or off on our next traveling adventures. I love the outdoors, wine, coffee—OK, mostly wine—and love having great food and even better friends around me. 📷 on #fuji400h with a #pentax645nii. @savanphotography #pvtakeover Day 1 // Why film? Gosh, there are so many reasons why I adore film—colors, tones, intentionality with my shooting and wanting a better work/life balance are all big reasons for me. But colors and tones by far are my main reasons for gravitating toward this medium. The colors of film are so vivid, yet real, and do not look overly processed. 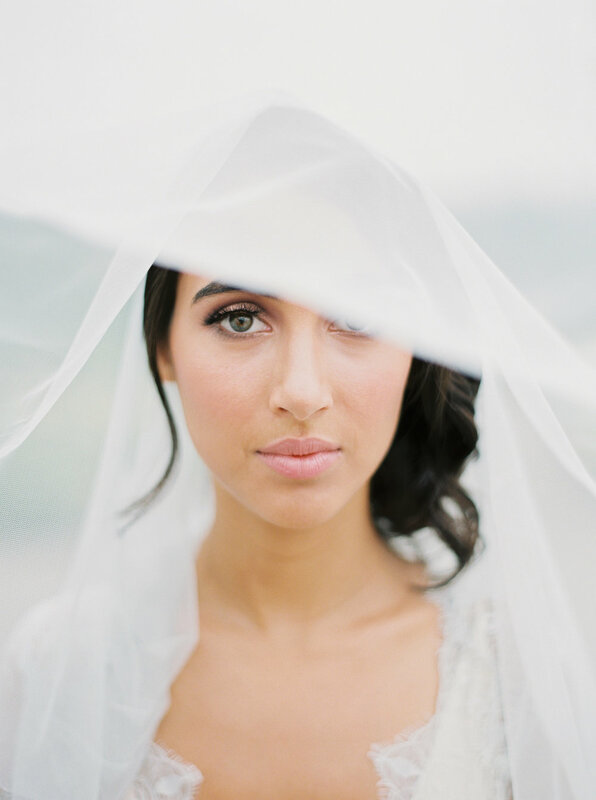 Of course skin tones on film are incomparable, leaving it so soft and dreamy like a painting. Shooting with intention is another huge reason for me to shoot film. Waiting for the right moment to press the shutter has helped me grow not only as an artist, but with my work flow. Since I am limited on how many shots are available per roll, and I limit myself to how many rolls I bring per session, I shoot less and LOVE my images so much more. Shooting film takes time, and it takes an artist with the mindset of creating a perfect image literally in-camera, since there is no screen to see what you captured and no delete button. Because you have to slow down and connect with your subject and be more intentional with shooting—not to mention waiting to receive your scans—the end result is so much more rewarding to your creative soul. Film somehow connects you with the simpler beauty of everyday life and makes you appreciate and notice what you otherwise wouldn’t have. 📷 on #fuji400h with a #contax645 at @mountpalomarwinery in Temecula, California. @savanphotography #pvtakeover Day 1 // When I started my film journey, I was scared! Scared that people would frown on film—why would I shoot film when digital is so convenient, not to mention provides instant gratification? I thought that too for a bit and wanted to quit! But I realized how film impacted everything—especially how I approached every single frame and shot with intention. Like here in this image, I waited for the exact moment to capture running with the movement of her dress. Artists are their own worst critics, right?! But for the past years I can honestly say I'm proud of my work and know exactly who I am as an artist! 📷 on #fuji400h with a #contax645 in Irvine, California. @savanphotography #pvtakeover Day 1 // When I was transitioning to all film, I knew it would take some time. People didn't understand it, the costs involved, logistics, etc., etc. At one point last year I even felt like quitting, even though I was getting a lot of inquiries, because I wasn't booking as much as I was the years before. I felt defeated that I wasn't good enough, that people didn't want to invest in film or a film photographer. My hubby quickly knocked some sense into me. He said, "Sure, you'll lose here and there, but your work has elevated and, believe me, people will see it and in the long run, you'll win because of how much you've worked to get here. You will win because you are now so proud of your new direction and work!” Well, he was right! Sure, my first year of shooting film was slower compared to years prior, when I never said no and literally gave away the kitchen sink and became so burnt out and felt taken advantage of. I can't believe I'm saying this, but at one time I thought, “Screw this film thing, clients won't get it.” However, now I see shooting film has made me not only a better photographer but through film I have created and defined my brand. And it's so rewarding to see the fruits of my labor paying off and giving me the competitive advantage! 📷 on #fuji400h with a #contax645 in Twentynine Palms, California. @savanphotography #pvtakeover Day 1 // There is something to be said about the experiences you have through your own journey. For me, it's experience from age, travel and most importantly, motherhood. I'll tell you right now, I would have never taken this image *period* in my 20s or even when I turned 30, not to mention one that focused on the vulnerability of motherhood. It was when I became a mama that I understood how important my job is to capture these moments for other mamas. It's not a "say cheese, smile at the camera" portrait, it is the quiet strength of a woman holding and gazing upon her baby. It is as an experienced artist not just from trial, error and work, but from age and life experiences that I hope to convey images of the most important job in the world—motherhood. 📷 on #fuji400h with a #contax645 in Mission Viejo, California. So friends, if you want something, anything in life, stop talking about it and make it happen. Because you are always good enough!! 📷 on #fuji400h with a #contax645 in Lake Elisnore, California. 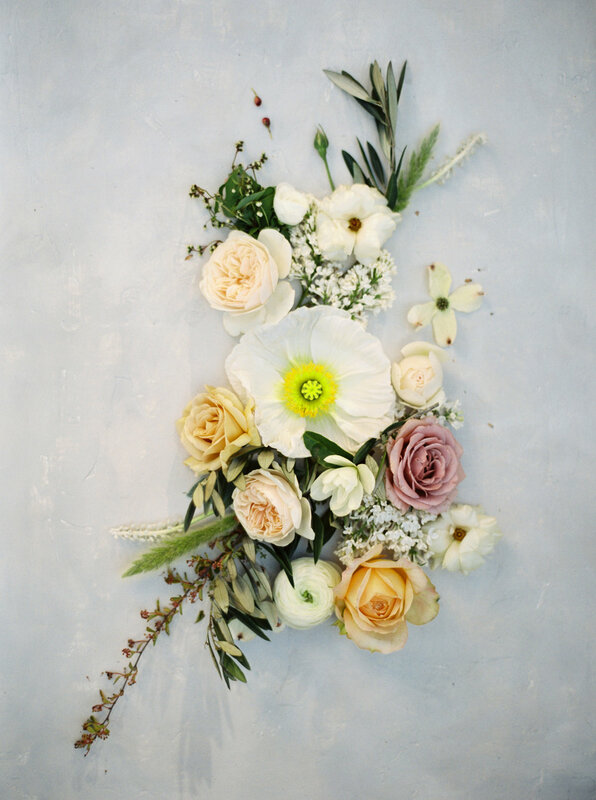 @savanphotography #pvtakeover Day 2 // Here's the thing—styled shoots, editorials, creative shoots or what I like to call them, “passion projects,” are so good for the soul. I get to shoot for myself and myself only, which lets me be super creative in trying new things/film stock without feeling pressure. I get to connect with other like-minded artists who share the same vision, not to mention shoot pretty people and florals with glowing light like this! My first priority with a shoot is creativity, and I don't ever go into a shoot with huge pressure of a publication in mind, but if it so happens to be the right fit for a publication that's also my style and aesthetic, then and *only* then do I submit it. Bottom line—shooting for you fuels your creative soul, because at the end of the day, it's *you* who are refining your craft for your current and future clients, who deserve, and frankly should demand, greatness—not sub-par work! 📷 on #fuji400h with a #contax645 at Bonneville Salt Flats in Utah. @savanphotography #pvtakeover Day 2 // I get a lot of questions about my locations and my process to find them. Yes, I scout for locations that have it all: pretty trees, wild grass, maybe a stream or epic mountain top. But to be completely honest, I just need good light and if that means a “pull off the side of the road” or “back alley between buildings,” I’m not mad about it. LIGHT is key to my work, I love the warmth it gives all my images. At the end of the day, I want my images to pop with great, golden light. 📷 on #fuji400h with a #contax645 in Valley Center, California. @savanphotography #pvtakeover Day 2 // Progression—it’s a great thing. Comparing yourself to others is the thief of joy. I've made plenty of mistakes, but you best believe me, I've learned from each one. When I started shooting film, people thought, “OK,” and when I said I’m going to shoot families on film they thought, “Now, she’s crazy!” Always follow your light and dreams and remember greatness takes time. And one more thing—be kind and share your knowledge with others! 📷 on #fuji400h with a #pentax645ni in Portland, Oregon. @savanphotography #pvtakeover Day 3 // I believe it’s so very important to give back to our photography community and push our industry forward. I am an open book with my business, and I don’t shy away when other photographers ask questions or need help. I am very raw, candid and real with my IG posts about my struggles with film photography and running a small business. I have a deep passion about helping others along the way. 📷 on #fuji400h with a #contax645 at @missionsanjuancapistrano in California. @savanphotography #pvtakeover Day 3 // I can’t begin to express how humble and grateful I am to have met amazing couples, families and creatives who have been so kind and generous in my journey as a photographer. I still have to pinch myself every time I step into a portrait session or capture a couple’s “I Do’s” that this is really my job—I get to witness and document LOVE! I believe that having humility, paying it forward and respecting others who have come before you in this journey is so important to the depth and quality of your work. 📷 on #fuji400h with a #pentax645ni in Joshua Tree, California. @savanphotography #pvtakeover Day 3 // My best advice when starting film: give yourself some grace and take your time. Just like anything, greatness is not achieved overnight and it takes practice—lots of practice. Read books, watch tutorials, attend workshops, go to photography conferences, meet other #filmphotographers and like-minded creatives. Learn as much as you can and don't be afraid to make mistakes. You will make them—a lot of them—and it is ok—you need to take notes and learn from them. Practice on a #35mm camera. This gives you 36 frames to practice lighting and exposure. Once you’ve got that down, then start shooting more on a #mediumformat. Practice, don't give up and ask questions—in film forums, from film friends or film mentors. But most importantly, give yourself some grace and time to make mistakes, grow and refine your art and brand. 📷 on #fuji400h with a #contax645 at @the_field_house_michigan in Holly, Michigan. @savanphotography #pvtakeover Day 3 // Capturing those in-between moments is so important to me. Yes, you have to get those “everyone looking at the camera,” the ones parents and grandparents want, but you should also seek out and shoot those in-between moments and details as well. Once those images are all printed and put together in an album, they create a cohesive session and tell the whole love story of that wonderful day. 📷 on #fuji400h with a #contax645 in Joshua Tree, California. @savanphotography #pvtakeover Day 3 // When I first started my photography career almost 4 years ago, I was shooting digital and my consistency was all over the map when it came to post/editing. There were so many "presets/filters" that could be applied and the possibilities were endless and overwhelming. I knew I wanted my digital images and work to "look like film," but getting them to—that was another story until my husband said, “If you want that look, shoot real film and don’t fake the funk.” So with that, I switched to using the incomparable medium of film. Now my colors and tones are always on point with my style and my images are consistent regardless if they’re of travel, families or weddings. Before I sign off, I want to share some super exciting news—I am hosting my very first #filmworkshop with @levie_photography this October in Los Angeles. I am over the moon about embarking upon this new adventure of pushing our film industry forward (but don’t worry, I will still offer my 1:1 mentorships throughout the year). If you are interested in attending, please DM, email, call, text, FB messenger, send a message in a bottle, whatever way you do, I would love to connect with you. Thanks again for following along my film journey, and I hope it inspired to you shoot some film! 📷 on #fuji400h with a #contax645 at @villadelsoldoro in Sierra Madre, California. Hey y'all! My name is Shauna Veasey of @shaunaveaseyphotography and I am so excited to be hosting a #pvtakeover the next few days (pinch me)! I can’t wait to meet new film-loving friends over here. 🎞💕 I live in a small town just outside of Atlanta, Georgia with my husband, two sons and our fluff ball Bernedoodle, Blue. 👨‍👩‍👦‍👦 🐶 I specialize in wedding and lifestyle photography and have been shooting film a little over 2 years. If I'm not behind the camera, you will most likely find me at a little league baseball game with the family or daydreaming about our next adventure. I love gardening, coffee shops and entertaining our friends and family. ⚾️✈️👩🏼‍🌾☕️ Over the next few days I'll be sharing about my journey as a photographer, along with a few tips and tricks I've learned along the way (mostly the hard way of course, smh). I'm stoked about connecting with you all and would love to get to know you a little better! Let's start here: tell me how photography found you! Stay tuned, I’ll be sharing how photography found me as well! @shaunaveaseyphotography #pvtakeover Day 2 // Let creative shoots fill your cup // Make time for personal work. Over the years, I have found that some of my favorite images have been from sessions or photoshoots I've planned or designed on my own. As an artist, designing and executing your own shoot, with your own vision, allows you to express yourself creatively and authentically. There is nothing more rewarding than seeing something you dreamed up come to life. ✨ I have found that making time for personal work is refreshing and rejuvenating and totally fills my creative tank. And, well—as you know— a full creative tank makes for a better photographer. 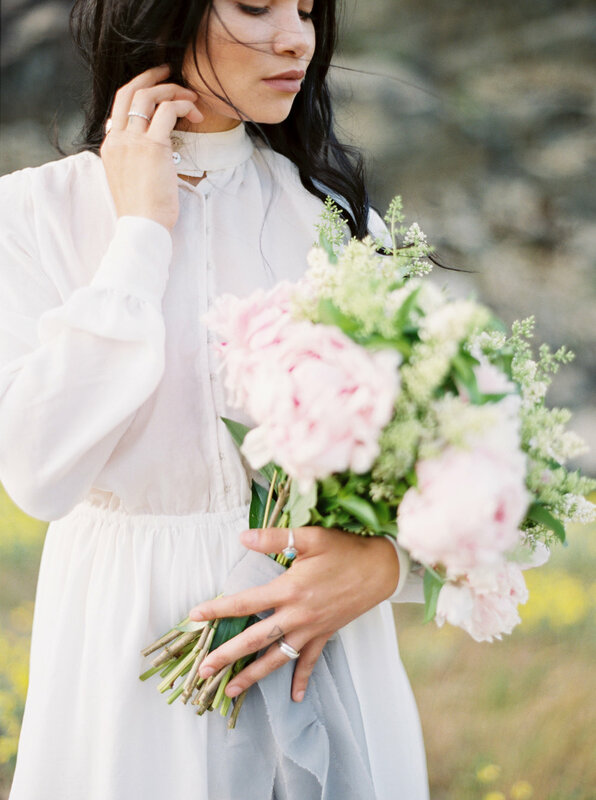 Whether it be a styled bridal shoot or a simple lifestyle session, set aside a few times during the year to push yourself and photograph something you love. @shaunaveaseyphotography #pvtakeover Day 2 // Make friends in the industry // There’s nothing more refreshing than a lunch date or coffee meet-ups with other photographers or vendors I’ve met along the way. 👯‍♀️☕️ Most of our job, as photographers, is connecting through social media, so it’s not unusual for us to find ourselves isolated in the office with our never-ending editing and task lists. 🖥💆🏼‍♀️ It is during these very busy seasons I find myself most thankful for my girls! When my creative tank starts running low, my friends inspire me, push me and keep me motivated. These women bless me daily with grace and empowerment and make me dream even bigger. 💪🏼💕 I’m not quite sure what I’d do without them. If you're feeling overwhelmed or uninspired, try reaching out on Instagram to make a new friend. You never know what a blessing their friendship could become. @shaunaveaseyphotography #pvtakeover Day 2 // Capturing motherhood // To me, the journey of motherhood is one of life’s most beautiful gifts. As a mother of 2 boys, I know how important it is to savor every fleeting moment. As an artist, it is my passion to capture memories, large and small, of mothers celebrating this special season. The second before a kiss, the way his hand reaches out for hers, the tiny wrinkles on a newborn baby’s hands . . . these are the treasures of life we long to remember. Serving mothers by creating tangible, visual heirlooms that preserve these precious moments is a gift I am honored and blessed to share. @shaunaveaseyphotography #pvtakeover Day 2 // Capturing the details // Styling and photographing details has become one of my favorite parts of telling my couple’s story, but I have to be honest—it hasn’t always been that way. Over the years, I have learned a few tricks to make the process more enjoyable while staying true to my style. Stay tuned for a few tips I’ve picked up along the way! 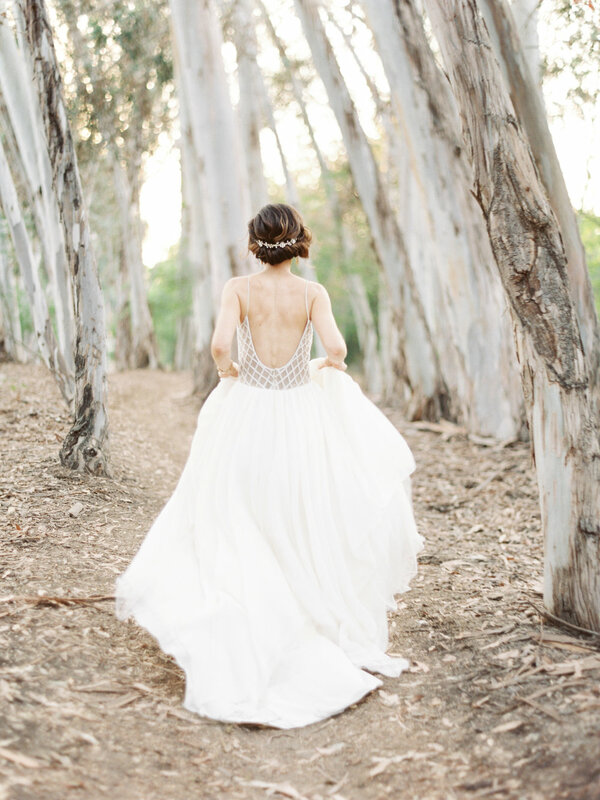 @shaunaveaseyphotography #pvtakeover Day 3 //5 tips for shooting wedding details // 1.) Make a styling kit you can take with you to the wedding. My kit includes: ribbon, decorative scissors, ring boxes, styling boards (a few I’ve made myself! ), trays, fabric, stamps, wax seal press, etc. 2.) Communicate with your couple about what details you would like them to bring. They have never been a bride and groom before, so this is all unknown territory for them. Communication is key. 3.) Find natural light. If I can’t find enough light in the bridal suite or venue by a window, take the invitation suite outside. No shame in the ‘finding good light’ game, y’all! 4.) 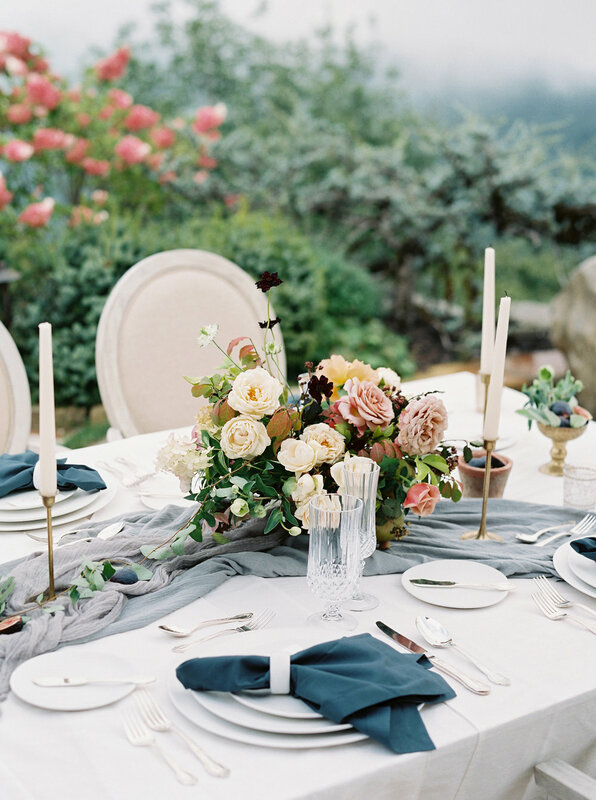 Email the florist prior to the wedding and request loose flowers to use for styling. 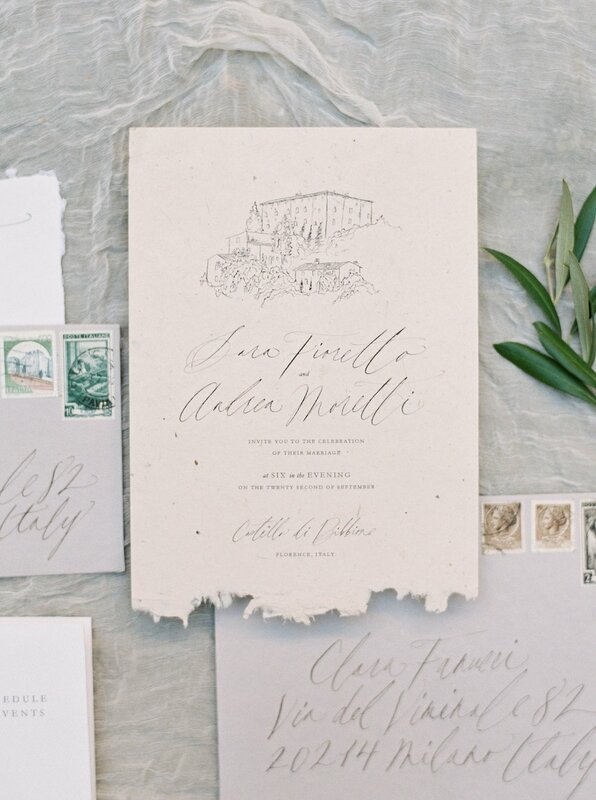 This thoughtful touch really makes the details flow cohesively with the rest of the wedding. Flowers are everything, amen?! 5.) Request an hour to cover all details. There is nothing worse than trying to style details in a rush. @shaunaveaseyphotography #pvtakeover Day 3 // Travel, rest, reset // At times, being a business owner and photographer can be exhausting. Don’t forget to rest and reset when you’re feeling the weight of it all. Exploring new places is my favorite way to find inspiration and gain a fresh, new perspective about my work. Make room for adventures because sometimes a break from your routine and change of scenery is the very thing your creative soul needs. 📷 on #fuji400h with a #contax645 in Banff, Alberta, Canada. 📷 on #fuji400h with a #contax645 in Austin, Texas. 📷 on #fuji400h with a #contax645 in Fredericksburg, Texas. @jennamcelroyphoto #pvtakeover Day 1 // One of the most important aspects of my shooting style is how I make people feel while they’re in front of my camera. The saying is true—people will always remember the way you made them feel. It is my goal on every single shoot that my clients see themselves as they truly are: incredibly BEAUTIFUL! I want them to feel confident, comfortable and calm, and leave the shoot with not only beautiful photos, but memories of a fun experience. 📷 on #portra400 with a #contax645 at Craggy Gardens in Asheville, North Carolina. @jennamcelroyphoto #pvtakeover Day 3 // It is so incredibly important to remember to shoot for yourself! Make time in your schedule to shoot whatever it is that inspires you and makes your heart soar. When the day-to-day business tasks bog you down, this will help reignite the artist and passion within you to just create for the sake of creating. 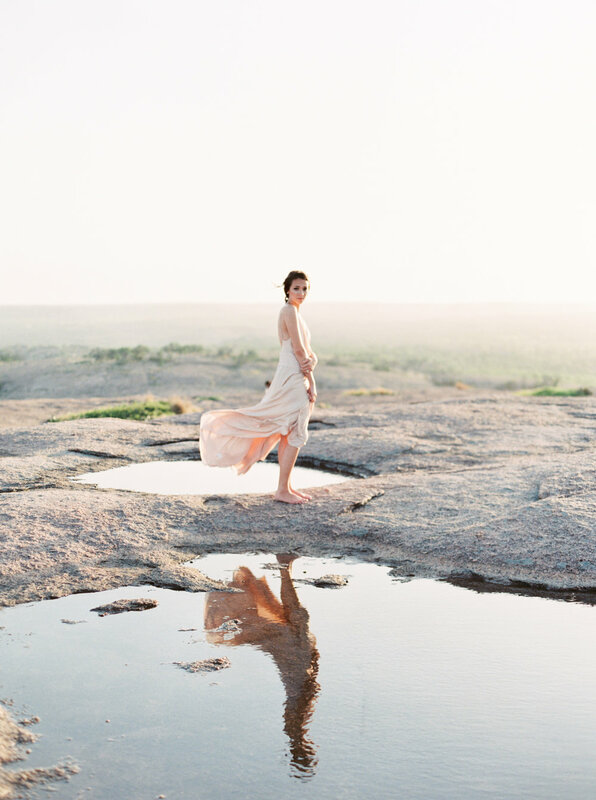 📷 on #fuji400h with a #contax645 at McKinney Falls in Austin, Texas. 📷 on #fuji400h with a #contax645 in Barcelona, Spain. 📷 on #fuji400h with a #contax645 in Lufkin, Texas. 📷 on #fuji400h with a #contax645 in Canmore, Alberta, Canada. Heyooo, fellow photographers! My name is @jennylosee_, I have been a #filmphotographer for about 3 years and I’ll tell you what, it has been a rollercoaster. First off, film is better. Glad we got that out of the way. Second, I am not a fan of talking about myself. In real life, someone asks about my world and I will give them the fastest answer possible and move on so this might get a bit bumpy. Hang in there with me. I grew up in Pocatello. A small town in Idaho most people haven’t heard of, where everyone around me seemed so content to never leave or move. While there is nothing wrong with that, it made me want to travel and see everything! So after high school, I was lucky enough to see some places all over the world. I fell in love with these new places and the people I met along the way. I moved to Boise a few years later with my husband, where we have a cozy little home in the farmland with our cat, Figaro, and silver lab, Frank, surrounded by chickens, goats and cows. About 7 years ago, I picked up a digital camera. I took my brother’s senior photos, then his friends asked me to do their photos, then their families asked me and it just snowballed. Eventually I learned it was time for me to really dive into this art form. I self-taught as much as I possibly could with some workshops here and there. At one workshop, they shot film—which seemed so legit, scary and out of the question for me. That was until I shot a roll of film myself, and that is when the obsession began. I got my first roll back and fell IN LOVE with the colors, the texture and that buttery light. And from there my goal was born, I would travel the #PNW and beyond documenting weddings, getting published and turning this passion of mine into a career. 📷 by @marialamb with a #contax645. @jennylosee_ #pvtakeover Day 1 // Photography as a Career // I’m sure I’m not the only one whose parents told me I would never make money with art, but I didn't listen or care. Nothing could stop me from filling that passion to create! It is the juice of life for me, I need it to be a #happyhuman. I know in the Winter season—my off months—I seriously get cranky and nothing can turn my attitude around like a good ol’ photo session. It is such a scary, ever-changing, exciting, unpredictable thing to have your own photography business. Mixing art with making money?! I wouldn’t wish it on my worst enemy, lol! But I still love it. Sometimes, I feel unstoppable. Other times, I think “maybe I should have thought of a plan B.” But then something great happens and the cycle continues. Inspired, terrified, passionate, broke, hustle. Rinse, repeat. 📷 on #portra400 with a #nikonf100 in Carmel-by-the-sea, California. @jennylosee_ #pvtakeover Day 1 // Photography as a Passion // Photography was a career that kind of fell into my lap, I never really knew what I wanted to do growing up like most kids. I knew I liked to create, tell wild stories and see new things. I get VERY bored of routine and predictable moments, which is probably why photography works so well for me. I am so excited for the next adventure and to live this wild dream of mine! 📷 on #portra400 with a #contax645 in Palm Springs, California. @jennylosee_ #pvtakeover Day 1 // Light // I am so inspired and moved by all things nature. Put me on a beach, in the middle of the forest or even just rolling hills on a sunny day and I totally geek out EVERY. TIME. The sun is a tool and a prop in my work. I would shoot with it every time if I could. It romanticizes a scene and can create amazing flares, shadows and a whimsical feel. I’m sure clients think I’m nuts for being excited about a little “golden hour light,” but if you are a photographer and you study light, you get it! That’s what photographers are anyway, right? Drawers of the light. 📷 on #portra400 with a #contax645 in Boise, Idaho. @jennylosee_ #pvtakeover Day 1 // Know Your Clients // Researching my clients, does wonders! Just seeing their Facebook page and what pictures they use for their profile, what do they have a lot of images of or what would I like to see more of. Knowing my clients’ hobbies and interests plays a big roll in the direction I take their photoshoot—poses, placement, actions, etc. Photoshoots and weddings happen so fast, you don’t have time to figure out who your clients are on the spot. I don’t really like talking during a photo session either, I am at my best when I can give some direction, then step back and become more of an observer. I like to play some music, too, it helps my clients feel more comfortable and forget about the camera. 📷 on #portra400 with a #contax645 in Portland, Oregon. @jennylosee_ #pvtakeover Day 2 // In the Moment // This photo was one of those days where the stars aligned, the sun was giving me life and I was unbelievably inspired by the beautiful #OregonCoast. Shooting requires time to slow down, to stop and see reflections, textures, perfect light and subtle breezes. It is somewhat of a spiritual experience for me. Cheaper than therapy and I have something to show for it. When I shoot, I am in the moment. No past or future in my mind, purely in the now. 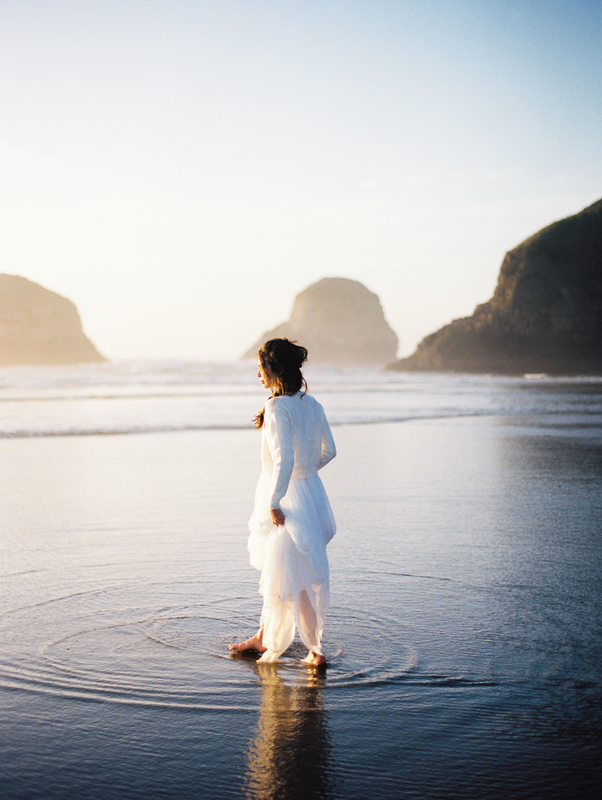 📷 on #portra400 with a #contax645 in Cannon Beach, Oregon. 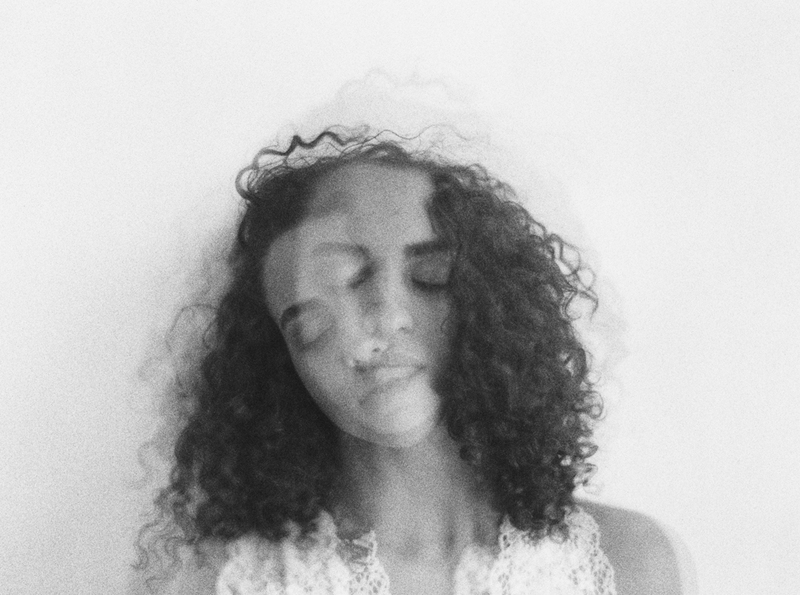 @jennylosee_ #pvtakeover Day 2 // Art // Black + whites with motion, blur and double exposures are so interesting to me. They tell a story with emotion. The great thing about double exposures is, you never know what you are going to get. I know that I am drawn to simple images and it can get pretty busy if you are doing double or triple exposures. So, I like to just use shapes and textures, move in close then one far and see what happens! 📷 on #portra400 with a #contax645 in Studio. 📷 on #portra400 with a #contax645 in Jackson Hole, Wyoming. @jennylosee_ #pvtakeover Day 3 // Loving What You Got // This shoot was styled to be a Fall mountain shoot, but it snowed all morning and you can’t even see the Grand Tetons in the background. So it wasn’t what I had planned at all, but I love this photo series. @jennylosee_ #pvtakeover Day 3 // Adventure // I crave adventure, open spaces and nature (Sagittarius syndrome!). 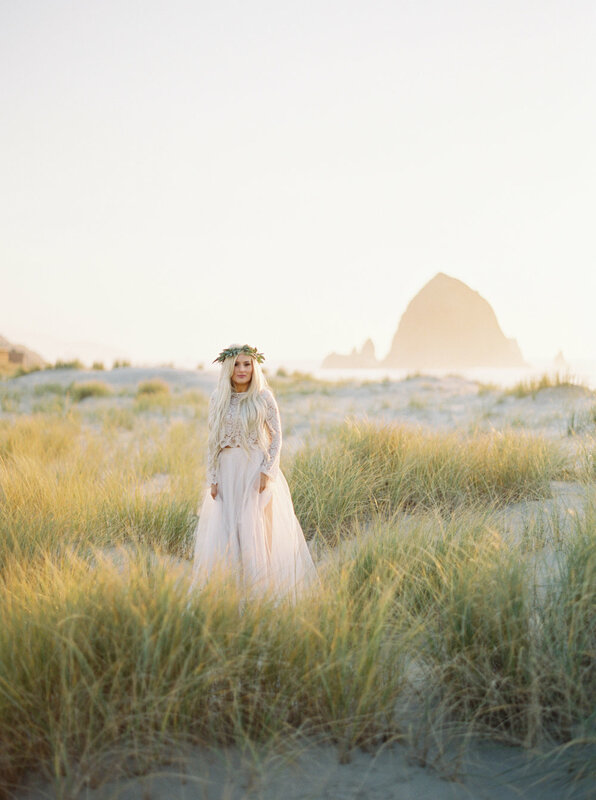 I typically attract nature-inspired brides as well, which brings us together in the most perfect way. My bride is usually down to hike up a mountain, change into her dress in the middle of the woods and isn't afraid of a little dirt. It's a new adventure everyday. I love that. @jennylosee_ #pvtakeover Day 3 // Timeless // This was one of the very first film shoots I did. Of course it was an editorial shoot. I just love coming back to this image because it reminds me of that time when film was new in my world, a new way of making art. I didn't know if it was going to turn out. Then those two weeks of waiting time . . . haha, torture, but oh so worth it. When I finally saw the images in my inbox, I was so excited to post them, share them and just learn more about this format. I wanted to shoot more! Now, when I look back at this image, it reminds me that film is timeless, I can always come back to this shoot and it won't be out of style. 📷 on #portra400 with a #contax645 in McCall, Idaho. @jennylosee_ #pvtakeover Day 3 // Learning // It is so important for me to always be absorbing new info, creating things that surprise me, adjusting my workflow or routine, and to be inspired! Creating art is really for the artist. Yes, the client gets the benefits of course, but let’s be real. CREATING FEEDS OUR SOULS we are made to learn! That is why classes, books, guides, tutorials . . . everything is so important! *Mentor critique sessions are available! * Just starting out or want to learn a bit more about #filmphotography? Unsure about why your work isn’t clicking with your dream clients? Want feedback on your work and branding? Then this mentor critique is for you. Get a fresh perspective that will help your images improve and your portfolio to reflect the images you want potential clients to see! Inquire to ask more and what mentor package will fit your needs best. Thank you for following along this week, if you have any questions or just want to say “hey,” please do!! I love meeting people in this world. THANK YOU!! 📷 on #portra400 with a #contax645 in Zion National Park. Hi, friends! We’re @allyandbobby and we are SO excited to be hosting a #pvtakeover this week!! We are humbled and honored to be chosen to share some of our all-time favorite images and advice about being film photographers. People often ask us about our story—Who started shooting first? How did you get into film? Is this your full-time job or your side hustle? So we thought we would answer a few of those questions for you here! 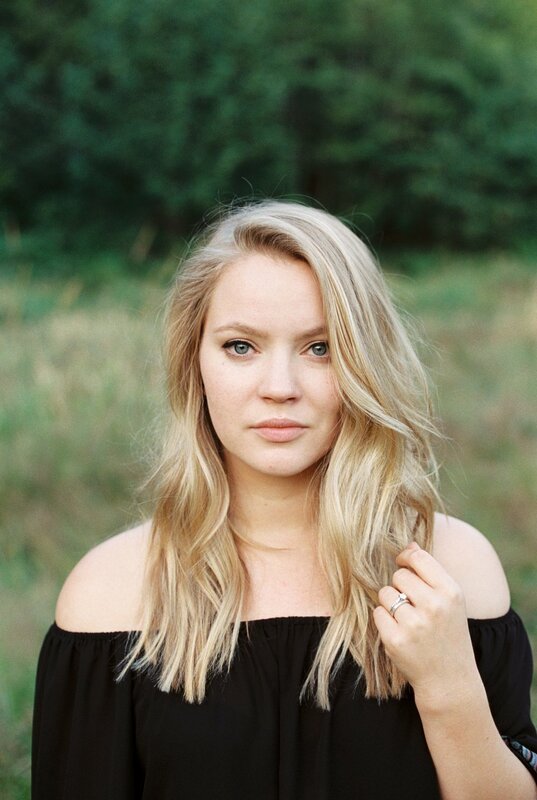 Ally majored in photography in college and this is where her love for #film truly began. She spent hours in the darkroom every week developing her rolls and printing them on enlargers. Being able to be so hands-on with the film development process back then helps us immensely with our medium format work today. We met in college—actually because of one of Ally’s photography projects! She needed a model for a short film she was creating and asked her then acquaintance—me, Bobby—to be her subject. As they say, the rest was history! Ally taught me everything she knew about photography and the first wedding we ever shot we did together. Our photography business is our full-time job and we are so grateful to work together every single day doing something we both love so much! We would love to hear from you!! Interacting with y’all is the best part of sharing! @allyandbobby #pvtakeover Day 1 // Often as photographers we struggle with comparing our work to others. We all tend to be our own worst critics and that can destroy creativity as well as our work itself. Choosing to chase others’ aesthetics will always lead to a distorted version of your own vision. We always try to give ourselves grace when we look at our work! Whether we slightly missed focus or could have chosen a better background, there is always something to improve on. Focusing on the negative tends to make photographers shoot “scared.” Scared to make a mistake rather than excited to make a moment. Bring grace into your work and take risks to capture beautiful photographs. @allyandbobby #pvtakeover Day 1 // When you’re first starting out, it can seem like there are infinite variables to achieve your specific aesthetic. One of the biggest factors is the #filmlab you choose to work with. Finding a lab who can consistently nail scans every single time is difficult! We value consistency in our scans and customer service above all else when choosing a lab to work with. That’s why our decision to go with #PhotoVision was so easy! Time after time, they deliver magic to our inbox, and if we ever have any issues or questions, their customer service is second to none! They love film and value it like we do and we believe that comes through in their end product. @allyandbobby #pvtakeover Day 2 // We feel really blessed to work together as a husband + wife team! Sometimes when people learn we work together, they say, “I could never work with my spouse!” We know it’s not for everyone! But we do believe having well-defined roles within our business has set us up for success. Whether you work with your spouse or have an intern or a full team, being clear with all members of your business on what their roles are helps prevent confusion, keeps things moving smoothly and maximizes efficiency. @allyandbobby #pvtakeover Day 2 // Maintaining a grateful heart is paramount when shooting weddings. It is always an honor to be involved in one of the biggest days of someones life. We are grateful for every single client who has been in front of our cameras! The wedding day is never about us—it’s always about the client and preserving their memories. When you approach situations with gratitude, it transforms your client’s experience. @allyandbobby #pvtakeover Day 3 // We always remind our brides that other than your rings, your photos will be the only tangible thing that remains after your wedding day. The moments we capture on a wedding day are important. We know one day our photos will be displayed long after we’re gone and they will be how people's parents, grandparents and loved ones are remembered forever. We do not take this responsibility lightly! It is our goal to help preserve the legacy of our clients in images that will be passed down throughout generations. 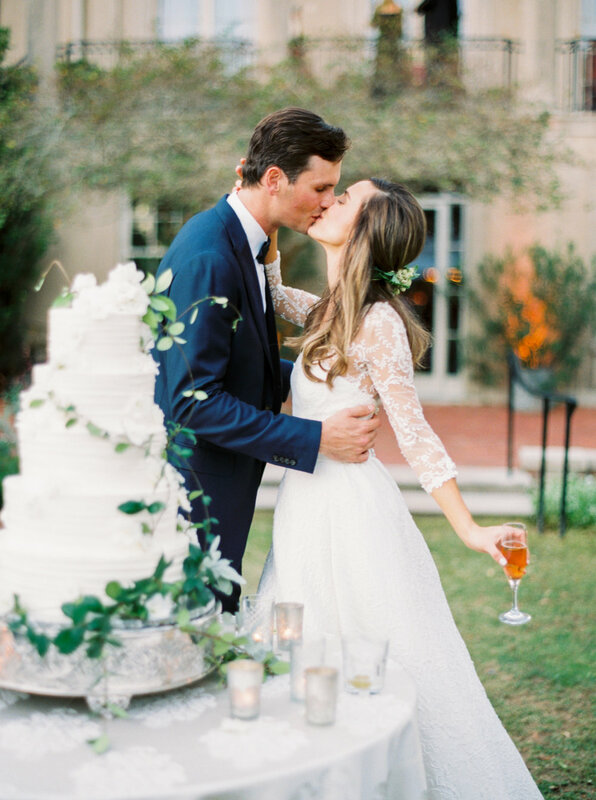 @allyandbobby #pvtakeover Day 3 // The best part of our job is hearing from our bride and grooms after they receive their wedding photos. Nothing makes us happier than hearing how much they love them! When we hear that our photos made them laugh, cry and that they’re better than they could have imagined, it makes all our hard work shooting and editing totally worth it. We’re sure you’ve heard some great praise from your clients, too! Whether you have one amazing email or 100, consider taking the time today to make them easily accessible. Print them out. Put them all in a folder on your desktop. Put them in a place where you can re-read them because, let’s face it—being a small business owner is extremely hard work. We could all use a pick up every now and then, and these wonderful notes we receive from our clients do it for us every time! @allyandbobby #pvtakeover Day 3 // Thank you so much for following along with us this week! We would love to hear from you if you have any questions about an image or something we mentioned this week or about anything at all! We want to be open books when it comes to our business, and we offer mentor sessions to be able to dive into all things photography with you 1:1. If we didn’t have mentors who poured into us at the beginning of our journey with their knowledge, we would 100% not be where we are today. We still ask questions of people who have gone before us because we can always learn more! We cannot overstate the importance of a mentor in your life! From metering preferences to how to run your social media account, a mentor can help you avoid the pitfalls they experienced in their career. We strongly believe it is one of the best ways to invest into your business. We are also immensely grateful to our amazing film lab, #PhotoVision!! They are always available to help with a question about anything, to walk through your scans with you and they truly have the best customer service around. Can we just all agree they are the best?! To us, they are a huge part of our team and we want to thank them again for asking us to take over their account this week! Hi friends, @simplysarah_photography here for my #pvtakeover! I am so excited and honored to be a host. I live in Georgia with my handsome husband (+ second shooter) and the cutest Golden Retriever you have ever seen. 😍 I’d love to dedicate the next few days here on PV to being as candid as possible while bringing you all the helpful film tips + tricks I can share! ✨💕✨ Stay tuned!! 📷 on #fuji400h with a #contax645 at @boonehallplantation. @simplysarah_photography #pvtakeover Day 1 // COMMUNICATION WITH YOUR LAB // The first time we ever shot film, we used PV for processing and of course they killed our scans. ✨ Due to costs, we shopped around with a few different labs and ended up trying an inexpensive lab to try and save costs—dumb—because I ended up spending so much time editing those scans I got back. Was it the way I was shooting? Metering? The way the lab was scanning? I had no idea, but there was zero consistency. I decided to try #PhotoVision again and have never looked back! The PV Team spent countless hours going over my scans + preferences, explaining exactly how to achieve the look I was after. Now when scans come in, I typically don't have to touch them at all! 🙌🏻 Meaning less time behind my computer which = HAPPINESS. So the pro tip is, if you aren't achieving the look you want shooting film, start by finding a #filmlab you love and shoot consistently. Schedule phone calls to discuss your scans when they come in and ask for your lab’s input—they are an invaluable resource to your business. 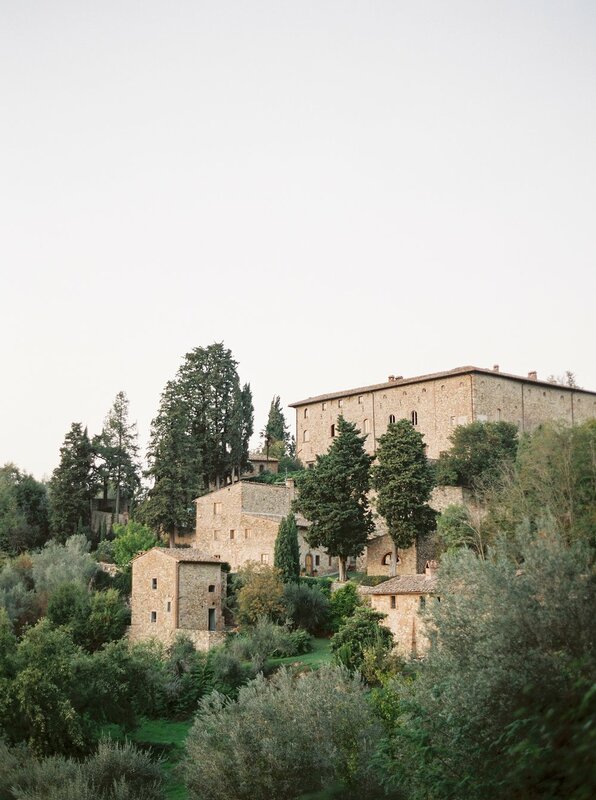 📷 on #fuji400h with a #contax645 at @castellodibibbione. 📷 on #fuji400h with a #contax645 at @vizcayamiami. 📷 on #fuji400h with a #contax645 at @oldedwardsinn. 📷 on #fuji400h with a #contax645 at @theranchatrockcreek. 📷 on #fuji400h with a #contax645 at @borgosantopietro. @simplysarah_photography #pvtakeover Day 3 // FINDING COMMUNITY // We lived in the middle of Nowhere, Georgia when we first started photography and often felt alone in our journey. It wasn’t really until the last 2-3 years that we have been intentional about building relationships with fellow film photographers and vendors and it has made such a difference. Being able to chat with friends in our film community to discuss booking, trends, bounce referrals off of and—if we are being honest—sometimes just plain vent to 😉 has been huge for us. I encourage each of you to reach out to others in your film community and start building those relationships! @simplysarah_photography #pvtakeover Day 3 // CLIENT QUESTIONNAIRES // One of the most important things we can do for our clients is be “in the know” on their wedding day! If there is an awkward family dynamic, I need to know about it. If they have a precious family heirloom they are including, I also need to know! Very early on we started sending out questionnaires to our clients a few weeks before the wedding to finalize timeline details, ask for 3 points of contact on the wedding day and address ANY AND ALL things we may need to know. The worst case scenario for me on a wedding day is asking for a photo of the bride or groom with their parents, only to find out one of them has passed away. It brings up all those feelings for the bride or groom and makes me look like an inconsiderate you-know-what for not caring enough to notice or ask discreetly. So be considerate and make yourself look like you know what you are doing and ask ALLLL the questions! 📷 on #fuji400h with a #contax645 at @bedfordpostinn. @simplysarah_photography #pvtakeover Day 3 // NEVER STOP LEARNING // It doesn’t matter where you are in your journey, a great artist will always be open and ready to learn. 3 months, 3 years or 3 decades in, there is always someone who can teach you something new. We make off-season goals every year and one of our main lists is “Things to Improve On.” This pushes us to pursue an area of shooting or business wholeheartedly in the off-season. Our list this year consists of improving SEO, blogging and shooting film with flash. What goals are on your list this year? 📷 on #fuji400h with a #contax645 at @sweet_meadow_. @simplysarah_photography #pvtakeover Day 3 // Simply Sarah Photography signing off! I hope you have enjoyed our PV takeover and found our tips helpful to you and your business! If you are looking to learn more, please feel free to shoot me an email at sarah@simplysarah.me for info on our 1:1 photography workshops. We love helping other photographers find success in this sometimes crazy industry and would love to help you! As always, a huge thanks to #PhotoVision for being amazing and asking us to host this PV takeover. We love working with y’all and can’t wait to see what 2018 has in store! 📷 on #fuji400h with a #contax645 at @biltmoreestate. Looking back on my photography journey, it is easy to see how my style and work have changed over the years. When I see my film photography, I see more of me in my work. As I gaze at images shot on film, there is a certain romantic and feminine quality that I love. I strive for classic and timeless images ALWAYS. I studied great photographers whose work will live forever, and that is what I want to create for my clients. 📷 on #fuji400h with a #contax645 in Catskills, New York. Having clients choose me to be a part of their day and having faith in me to document it, is a huge honor! When entering a wedding day, I ultimately want my clients to be happy. Hearing what they want out of their images and their big day is crucial. The bride in this particular shot had told me she wanted her wedding featured in @Vogue_wedding . . . talk about pressure! Though this was my bride’s goal, I did not enter her wedding day as if it were for a publication. I just gave it my all, 100% and focused on the task at hand—capturing timeless images for this couple that will live forever. So when #VogueMagazine did pick up this wedding later on, I was thrilled! I’m always striving for publications on a personal level, but ultimately, if my clients are happy, I’m happy. 📷 on #fuji400h with a #contax645 at Longue Vue House & Gardens in New Orleans, Louisiana. One of my life’s biggest accomplishments was setting a certain goal for myself and achieving it. My husband and I moved to New Orleans in January, 2010 with a 10-week-old baby girl and lived out of suitcases in my parent’s house, as we renovated my grandparent’s home to move into. One day I was sitting in my mom’s kitchen with my laptop and simply decided, “I am going to start a business.” I didn’t know how I was going to make it work, but I just knew it was what I needed to do. “I’m going to be a top photographer.” That’s what I kept saying to myself over and over again. Then I worked, really hard—really, really hard—and made it happen. 📷 on #fuji400h with a #contax645 at Race and Religious in New Orleans, Louisiana. Work hard, then work harder. The beginning of my photography business came with a lot of trial and error. I recently listened to an interview by @Forbes with @ashleylongshoreart, a Louisiana-based painter, and she explained how you don’t want success right away, you want to take that road to learn the ups and downs. This hits home with me. When I first started my business, I thought, “Jobs aren’t coming fast enough.” Looking back, I’m glad it was that way—I made mistakes daily that I learned not to do the following day. Reaching out to other successful photographers like @erichmcvey was SO helpful. Reach out and learn, meet other artists and share a bit of your heart with them. Workshops are amazing and so helpful and 1:1s are game changers. Diving in exactly where you are with another artist and learning, building and growing from the spot you are at now, is invaluable. Thank you all for following along as I shared a bit of my heart and story! This community is one of a kind, and I’m so thankful to be a part of it! 📷 on #fuji400h with a #contax645 in Havana, Cuba. @greergattuso #pvtakeover Day 2: As my career at the newspaper began to slow down, I started photographing weddings—just for friends. And during that time, the paper was switching to digital, and they paid for ALL the equipment, so I made that transition right along with them. Photographing weddings felt like a natural fit for me. I went from shooting for an article—making sure my images matched the reporter’s writing—to using my creative eye. I loved the fast-pace environment of a wedding, and its high energy filled with love. I entered the wedding industry in the middle of a shift. The community had mostly been filled with male photographers. Female photographers were just starting to break the surface, becoming more and more common. I began to notice a shift from wedding days ran by a shot list, to one driven to capture the story at hand—from the details of “getting ready” to capturing the “grand getaway”—in a romantic, feminine way that presented a richer story. I remember when I first learned about the digital camera. I was still working at The Palm Beach Daily News when a fashion photographer approached me in New York with a brand new Kodak digital camera and said, “Greer you need to look at this, it’s going to be big!” I just thought he was crazy, the images looked pixely and felt so different, but sure enough digital cameras changed the game. I put my film camera away for awhile and shot strictly digital. Looking back on those years, I realize digital was never able to produce the the same type of imagery and feeling that film created. The way film produces color and interprets light is incredible and something I could never recreate with digital. Going back to film was like returning home. 📷 on #fuji400h with a #contax645 in New Orleans, Louisiana. After shooting digital for years, I returned home to film and bought a Contax645. To be completely honest, I went through a bit of a rough period at first. I had been investing in workshops looking to expand my knowledge of film and photography, but was unable to produce the same look I had in the years before. The images were hazy and muddy, and not what I had been expecting. I later learned, while attending another workshop, that my camera had fungus in the lens! Once I realized that the issue wasn’t me or my shooting, but an internal camera issue, I was able to get my confidence back and dove straight into the #filmphotography world! I continued taking workshops, practiced, practiced, practiced and called @photovisionprints with ALL of my questions! This community we work in is amazing and filled with so many resources. Continue to reach out to one another and don’t be afraid to ask questions! Hello, beautiful people! @greergattuso here, and I am so excited to spend the next few days with you all diving into a bit of my personal journey and all things film! I have always been drawn to documenting and sharing stories through imagery. I remember looking back at my parent’s wedding album—seeing them young and in love, my grandparents there, everyone in celebration over two families coming together. I felt nostalgic, wishing I could be with them and, in a way, feeling like I was. Some of the photographs were taken in the house I live in now. I attend the church where they were married. Their images allow me to relive their day with them. They bring the earliest part of their relationship to life and remind me why I do what I do in the first place. Every relationship carries its own essence. My work is to create a place where people can be honest together—to engage meaningfully in a space they feel comfortable in and capture images they can hold for years to come. I look to capture images that bear witness to the beauty of real life. 📷 on #ilford3200 with a #contax645 in Louisiana. I bought my first #filmcamera in college while studying photojournalism. To be completely honest, it did not feel natural at first! Learning exposures, bracketing and lighting was HARD, it all felt so foreign to me, and I knew it was going to take some time to learn my equipment and use it seamlessly. But I slowly became more confident in my exposures and lighting. As I practiced shooting and spent more and more time in the darkroom, it eventually became second nature. Learning photography on a film camera with no digital safety net forced me to pay attention to my shutter, aperture and film speed. I learned how these three crucial elements work together to create an ideal exposure. While studying photojournalism at Loyola University, I was able to study all the greats—Henri Cartier-Bresson, Dorothea Lange, Walker Evans, Margaret Bourke-White, etc. I loved seeing how these incredible photographers told stories and I quickly gravitated toward documentary photography. I shot all film at the time and practically lived in the darkroom. It was then I fell in love with B+W photography, it is rich and timeless and filled with life. I knew I was right where I was supposed to be. 📷 on #ilford3200 with a #contax645 at Longue Vue House & Gardens in New Orleans, Louisiana. After graduating college, I began working for “The Palm Beach Daily News” as a photojournalist. I documented #NYFW and Milan Fashion Week, along with traveling to Bolivia to cover medical missions. All on film! I was granted unlimited access to the paper’s darkroom. AND, get this, they even supplied ALL MY FILM. This is not a joke. I did not know how lucky I was to have a closet full of film at my fingertips just waiting to be exposed. That just doesn’t happen anymore, film is no longer found in newsrooms and darkrooms have been turned into storage closets across the country. These experiences fueled my passion for photography that documents the stories of real life.